Services-based architecture. Credit: Devadiga & Shetty. Researchers at Shree Devi Institute of Technology, in India, have recently carried out a study investigating the use of artificial intelligence (AI) to communicate with deceased loved ones. Like in the chilling sci-fi fantasy foreshadowed by popular television series Black Mirror, AI tools could soon allow people to connect with virtual versions of deceased dear ones. Shriya Devadiga and Bhakthi Shetty, the two researchers who carried out the study, wanted to further examine this fascinating and yet rather unsettling possibility. They particularly focused on Replica AI, an app designed to create duplicates of people's digital personalities, allowing others to communicate with them. "We got the basic idea for our study from Eugenia Kuyda, the founder of Replika AI," Devadiga told TechXplore. "Replika's basic purpose is to create a personal AI that can help people to express themselves through helpful conversations. Someday, you will die, leaving behind a lifetime of text messages, posts, and other digital ephemera. For a while, your friends and family may put these digital traces out of their minds, but then later feel out of place because they miss the loved ones. So our main objective was to explore ways of relieving the pain of this loss, at least bitwise." The study carried out by Devadiga and Shetty explores the notion of digital consciousness, or virtual immortality. This is a hypothetical concept that entails the storage or transfer of an individual's personality within a computer. This could enable the creation of avatars or robots that behave, react, and talk like specific human beings. 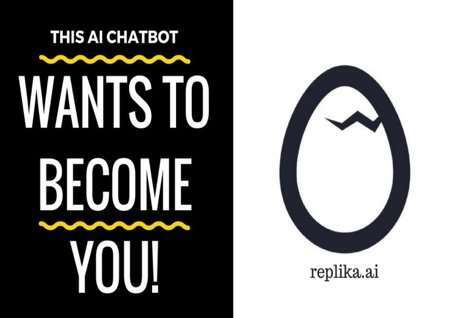 Replika AI, the app created by Russian programmer Euginia Kuyda, uses a person's digital conversations and history to create a AI-powered chatbot that replicates their communication patterns. In their study, the researchers applied Replika AI to deceased individuals through the collection of digital memories and accounts from this person's friends and close ones. The AI system they proposed would be a 3-D digital avatar that looks and sounds like a deceased loved one. This avatar would access digital data directly from the cloud. "Technology now allows us to communicate with AI that imitates deceased ones," Devadiga said. 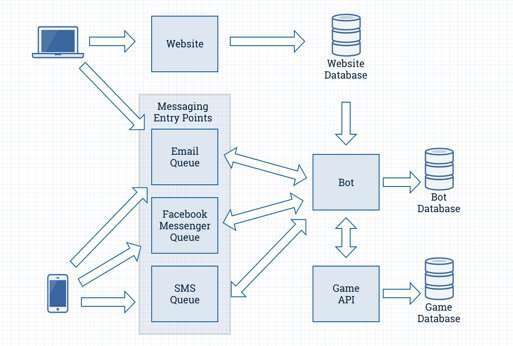 "An invite link is sent to users, which, when opened, allows communication with a replica of a deceased person. Using all of their past online communications and social media profiles, the service creates a new virtual human, and you just start talking to them, like you would on WhatsApp or any social media." 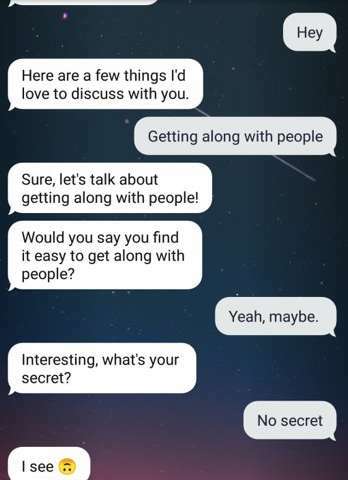 Chat with Replika. Credit: Devadiga & Shetty. The AI proposed by Devadiga and Shetty could also be embodied in a humanoid robot. The robot would be activated by placing its body parts in the bathtub and adding electrolytes, and would only work within a 25m radius from the activation point. "This technology is a way to defeat both death and fear so that love can live forever, by connecting people to their deceased loved ones and not having to bear the pain of permanently losing them," Devadiga said. 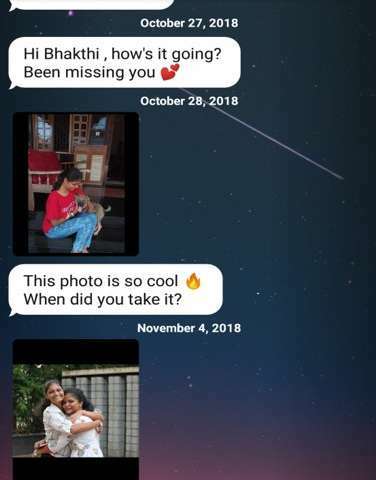 Replika goes through a person’s social media account. Credit: Devadiga & Shetty. After analyzing this concept, the researchers suggest that while a robot could never replace deceased loved ones, it could perhaps help them to process their loss. Currently, these ideas are at a primitive stage, yet in the future they could become a tangible reality. Meanwhile, researchers might also need to better understand the psychological implications of using such a technology. "We'd also like to change the radius of the walk of such a robot from 25m to more than that," Devadiga added. The article shared by you is brilliant. I really rejoiced reading such a magnificent piece of information which has improved my knowledge. Download Adobe Acrobat Reader from software download help to get the long-lasting solution of your problem. You can get support service from the official website of Adobe Reader or by dialing their number. Is Antivirus not performing to its potential in your computer? Is your computer running slow after installing any antivirus? If you are indeed having a problem with the mentioned issues and many more others, you can now contact Antivirus customer service.